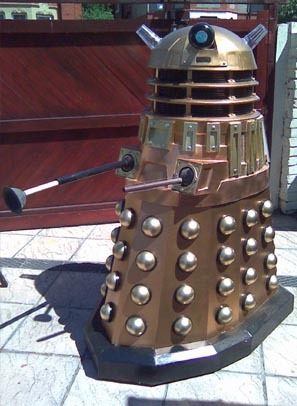 It was my dad who got me into Doctor Who thanks to his videos of the 1983 repeat season, so it's not surprising he'd end up with a page of his own exploits. 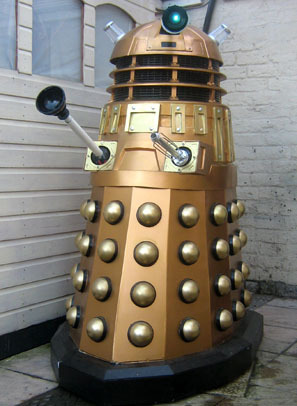 After originally starting a Dalek in the 70s, and then again in the 90s, he's finally produced something absolutely incredible in the 21st century. 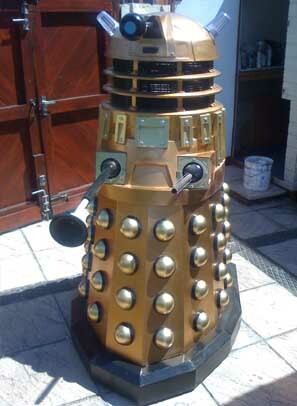 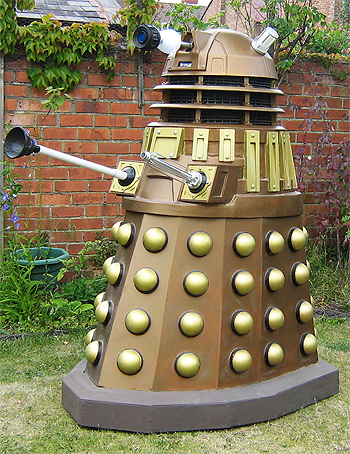 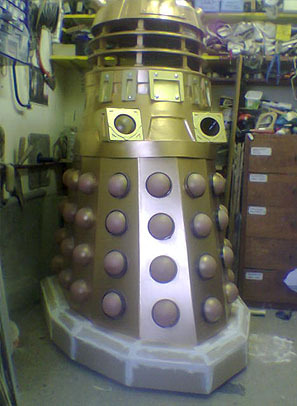 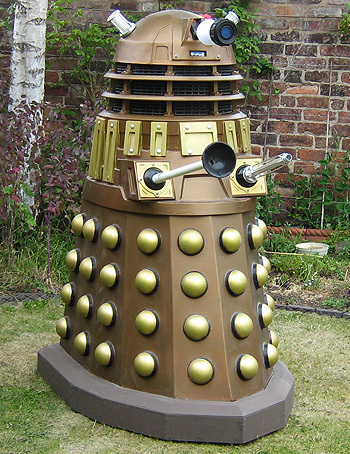 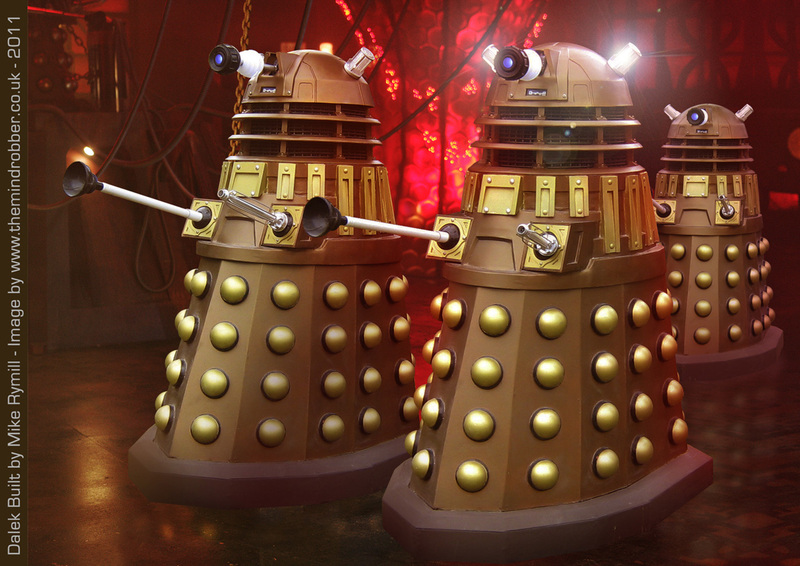 Since May 2007 my dad has been buliding a New Series Dalek completely from scratch. 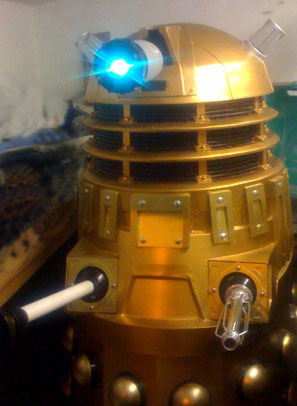 All assembled with makeshift eye, gun and arm. 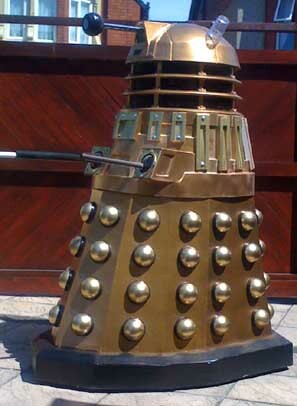 Assembled with makeshift eye, gun and arm. 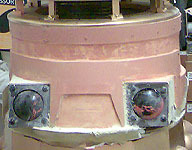 Late 2010 saw extensive reworking of the shoulder section to bring it forward. 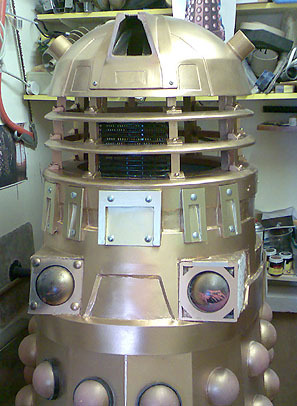 Thereafter a whole new neck cage was constructed and most importantly of all, a brand new dome was made. 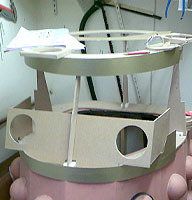 Comparisons to screen props showed the old dome was too wide and not deep enough. 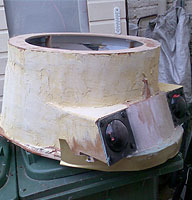 New dome measurements were taken and a brand new fibreglass mould was made. 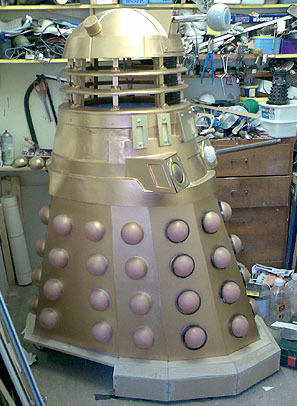 By spring 2011 almost the entire top half had been reworked and here it is photograhped in all its glory, complete with correct paint colours supplied by the company who did the paints for the TV series.